What was individually noteworthy about Diderot, d’Alembert, Holbach, and Montesquieu? 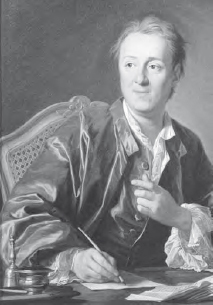 Denis Diderot (1713–1784) was the general editor of the Encyclopedia. His The Skeptics Walk (1747) was a robust attack on Christianity. His claim that the universe was wholly material and evolving, as asserted in Letter on the Blind (1749), resulted in a brief imprisonment. Diderot’s comedies were considered secondrate, but his literary analyses created the new genre of literary criticism. Jean le Rond d’Alembert (1717–1783) was the chief philosopher in the encylopedists’ project. In his Discours préliminaire he divided a philosophy of man into pneumatology (or the human soul), logic, and ethics. He held that the substance of the universe cannot be known, and in Essay on the Elements of Philosophy (1759) defined the field as a comparison of phenomena (that is, appearances). Baron Paul-Henri-Dietrich d’Holbach (1723–1789) was a major contributor to the encyclopedia. He was a solicitor at the Paris Parlement and hosted philosophical dinners. He systematized Diderot’s naturalism and published anonymous, irreligious treatises applying philosophy against the Catholic Church. He argued that everything in existence was based on matter and motion in a completely determined universe. Holbach thought that Christian virtues were unnatural, that piety was fanaticism, and that church officials were immoral. He was also a utilitarian. Baron de La Brède et de Montesquieu (Charles-Louis de Secondat; 1689–1755) was the chief political encyclopedist. His most famous work is The Spirit of the Laws (1740–1748) in which he argued that governments can be divided into republics, monarchies, or despotisms, which are respectively motivated by political virtue, honor, and fear. Types of government depend on the character, history, and geography of a people. A constitutional government with a separation of executive, legislative, and judicial powers is the only form that can protect liberty. This idea influenced the framers of the U.S. Constitution. Denis Diderot is credited with creating the field of literary criticism (Art Archive).